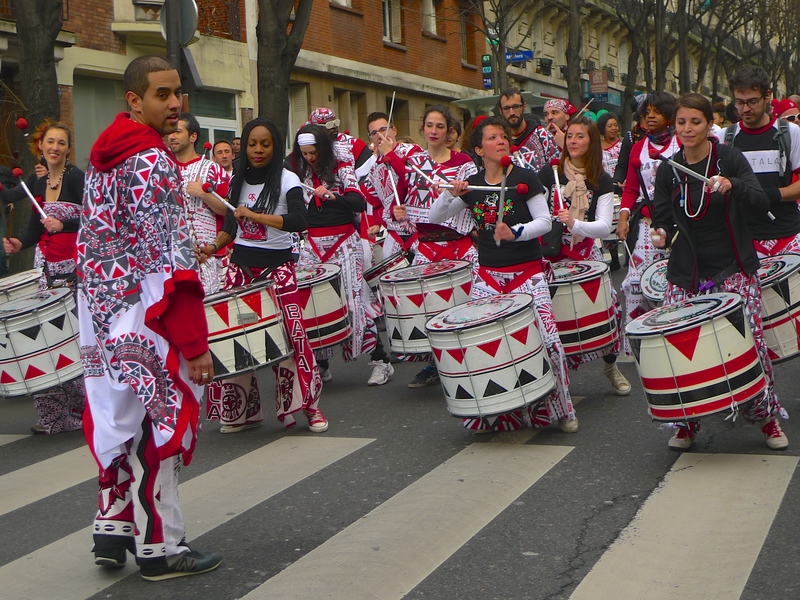 SUNDAY, 7th FEBRUARY saw the 19th edition of the Carnaval de Paris. 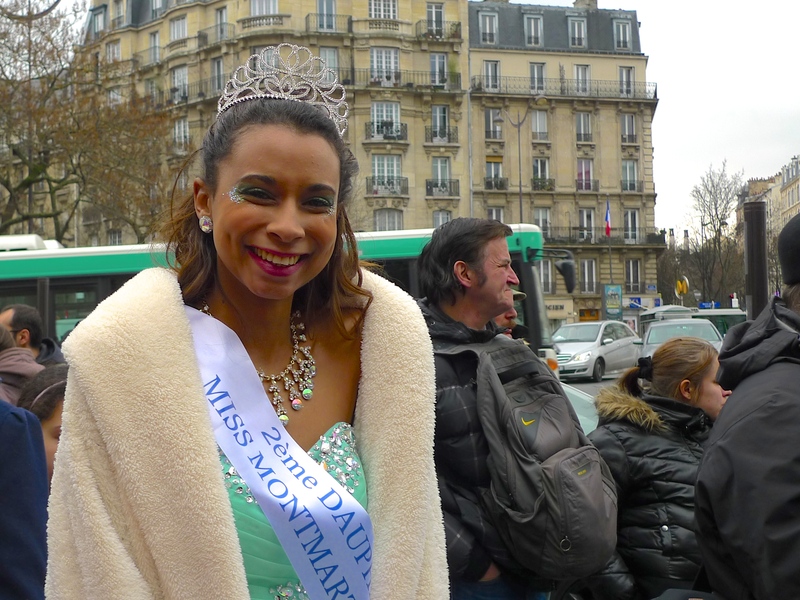 The theme this year was Le Monde fantastique aquatique. 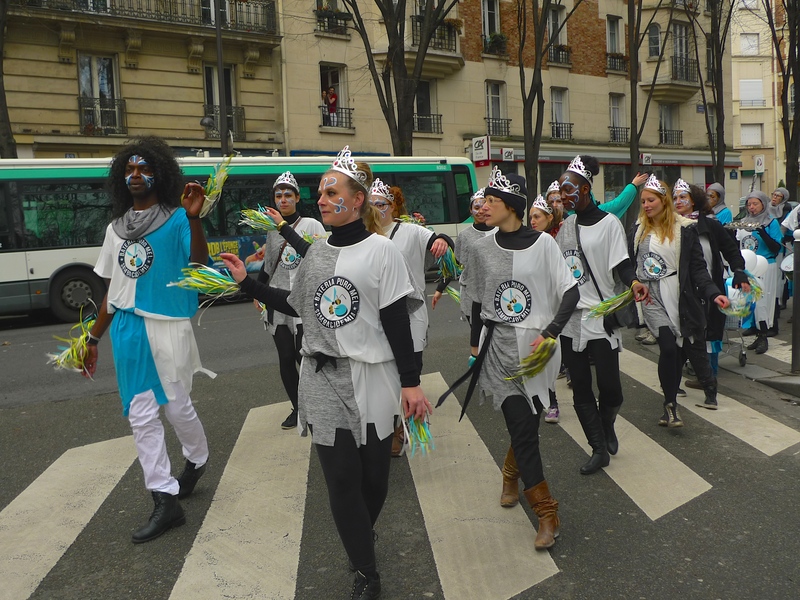 Led by Basile Pachkoff, Président de l’association Droit à la Culture, the carnival procession left Place Gambetta in the 20th arrondissement and made its way to Place de la République. 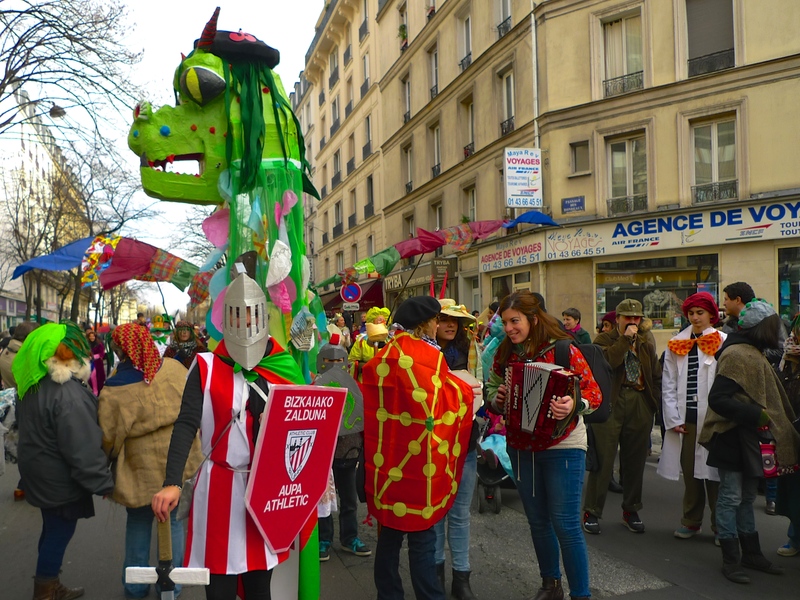 Today’s Carnaval de Paris is a revival of a carnival dating back to at least the sixteenth century when the carnival parade would take place on the Sunday prior to Mardi Gras and was led by the traditional “Promenade du Boeuf Gras”, a decorated live ox. 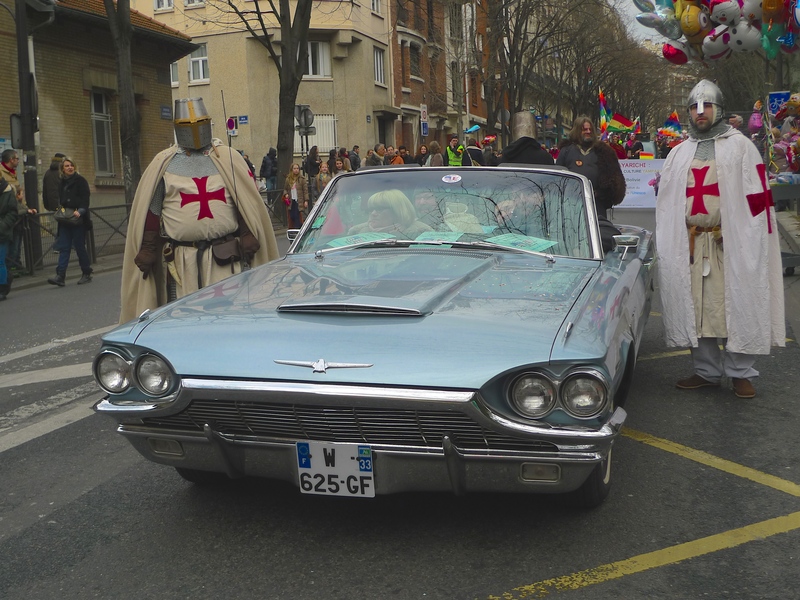 In those days it was a time of rejoicing lasting from Epiphany until Lent whereas today it’s simply a one-day event. 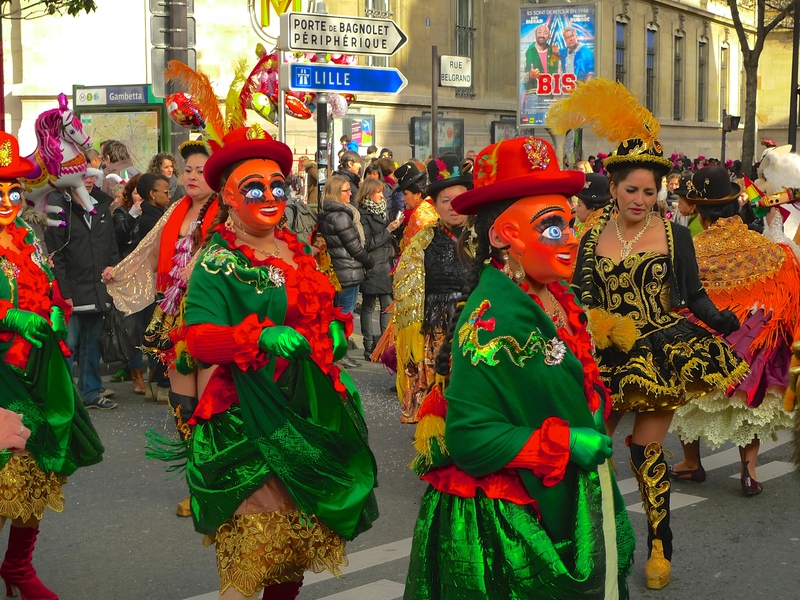 The Carnaval de Paris with its dancers, masks, music and colourful costumes still retains the spirit and exuberance of the medieval festival. 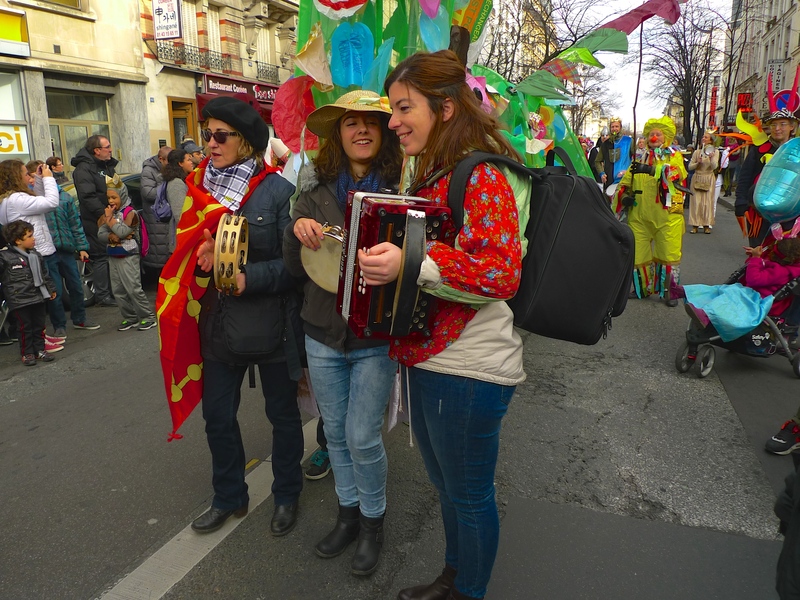 In the February afternoon sunshine, I joined the carnival procession in Avenue Gambetta to record the sights and sounds. 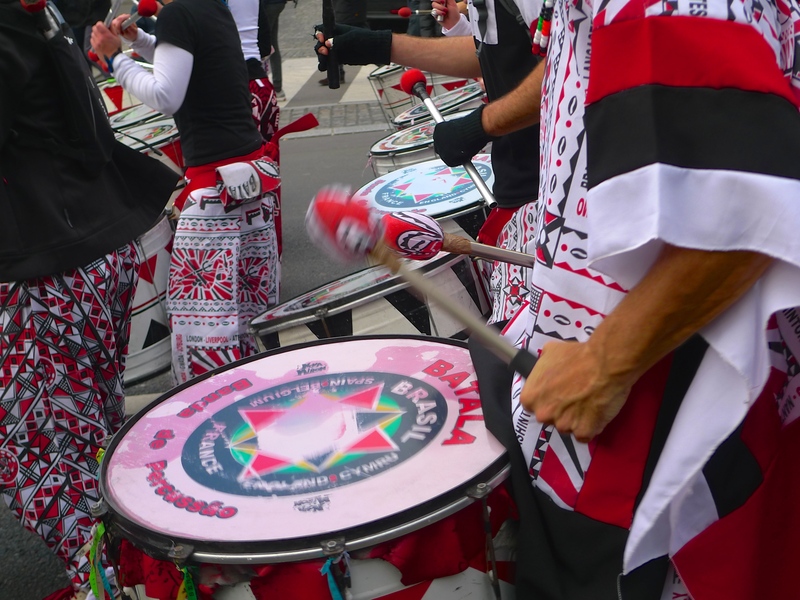 THE SIGHTS AND SOUNDS of a colourful carnival procession are guaranteed to brighten up a dull February afternoon. 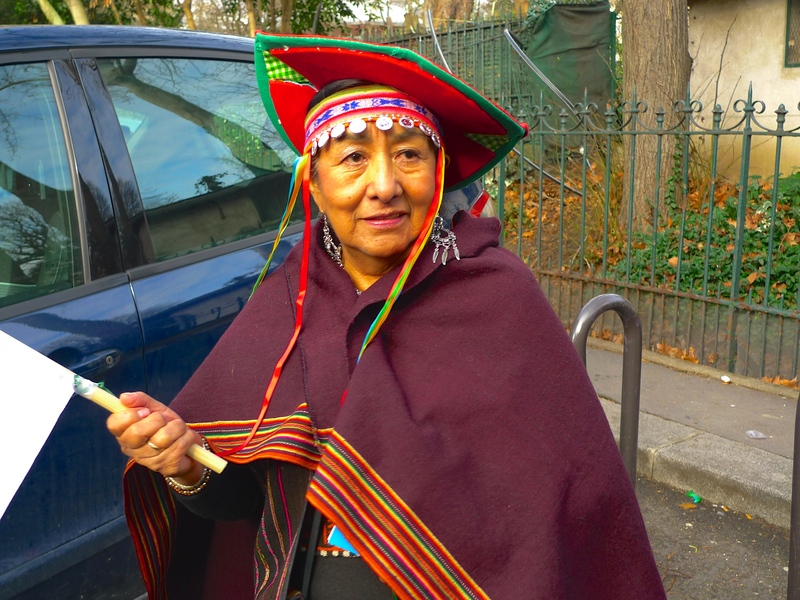 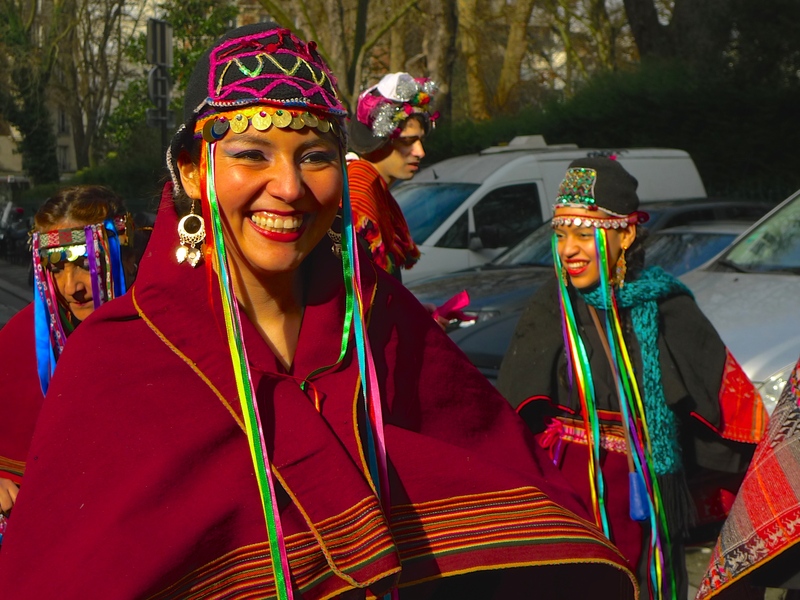 Last Sunday afternoon, the annual Carnaval de Paris wound its way through the east of Paris from Place Gambetta to Place de la République. 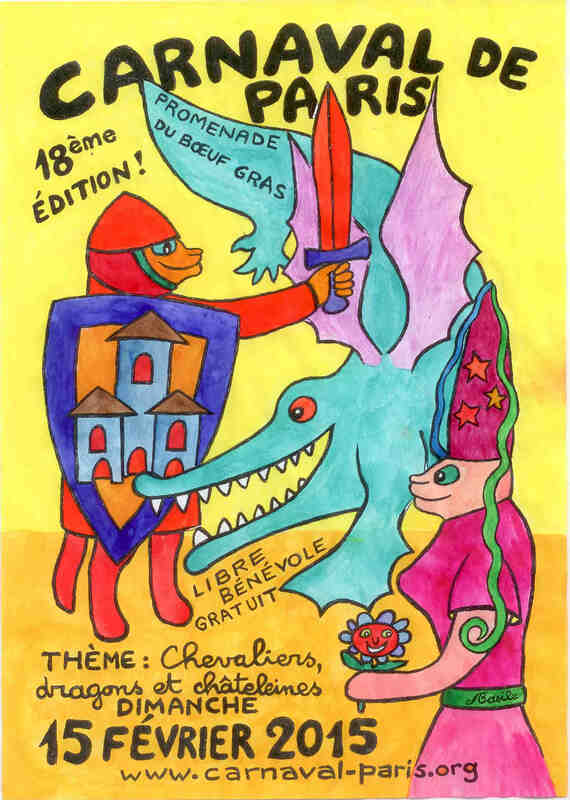 The theme for this year’s carnival was “ Chevaliers, dragons et chatelaines” (Knights, dragons and ladies of the manor) and it involved a long procession of people wearing colourful costumes accompanied by dancers and the throbbing rhythms of drums, cymbals and cowbells. 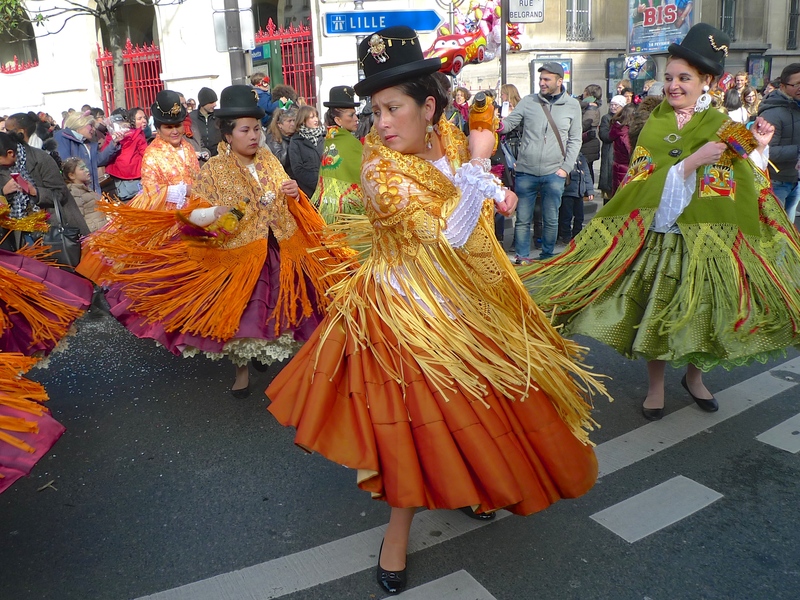 The Carnaval de Paris has a long history going back to at least the sixteenth century. 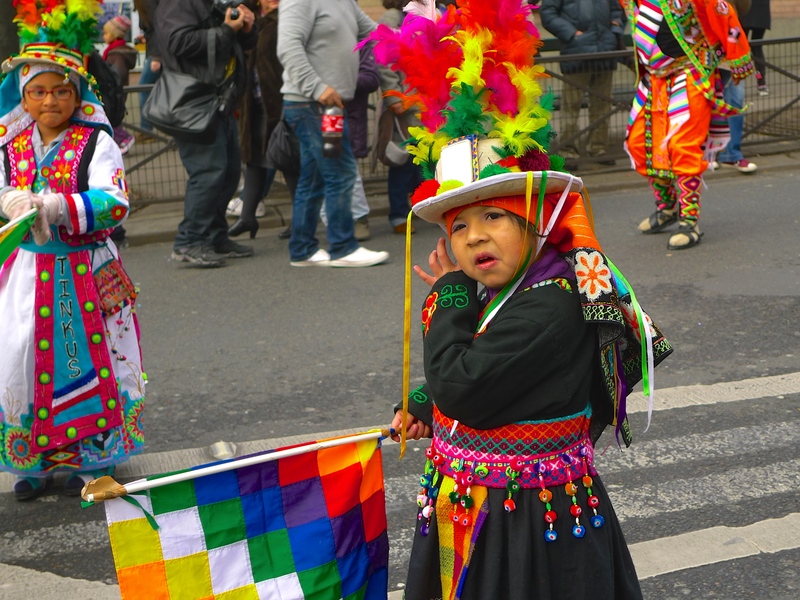 In those days it was a time of rejoicing lasting from Epiphany until Lent. 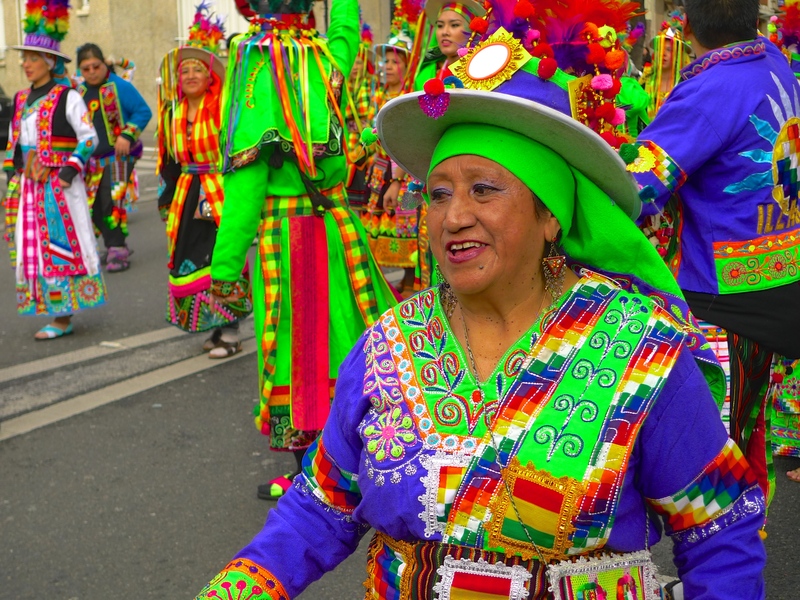 People of different origins, professions and social status took part and it was a time of dances, feasts, and marriages. 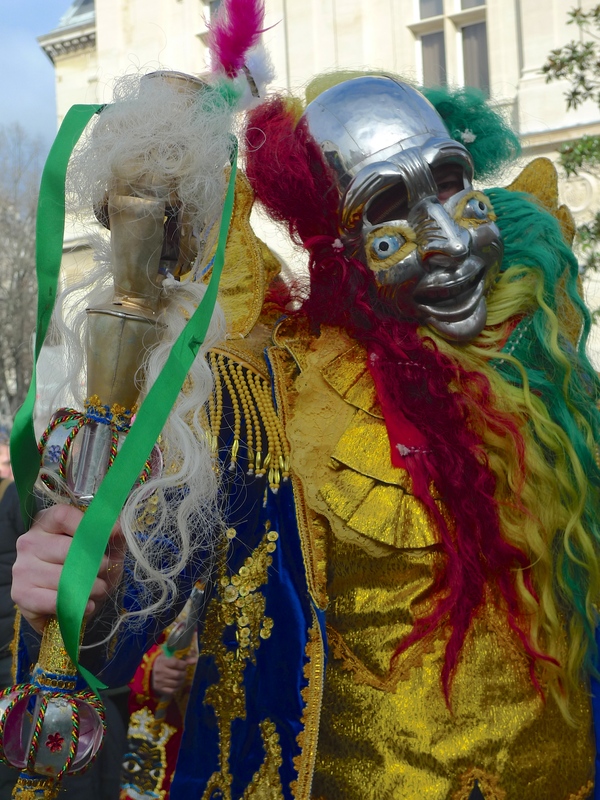 The carnival parade would take place on the Sunday prior to Mardi Gras and was led by the traditional “Promenade du Boeuf Gras”, a decorated live ox. 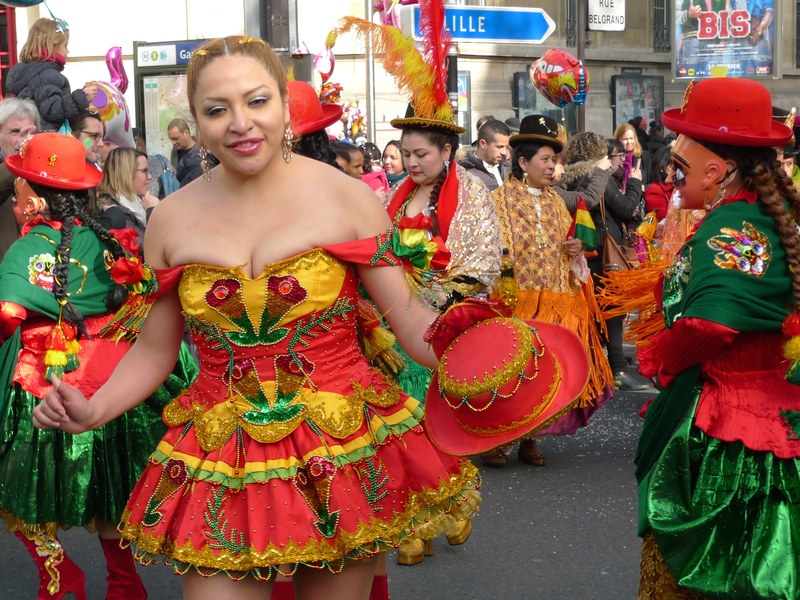 The Carnaval de Paris continued up to the twentieth century but in 1952 it came to an abrupt end. 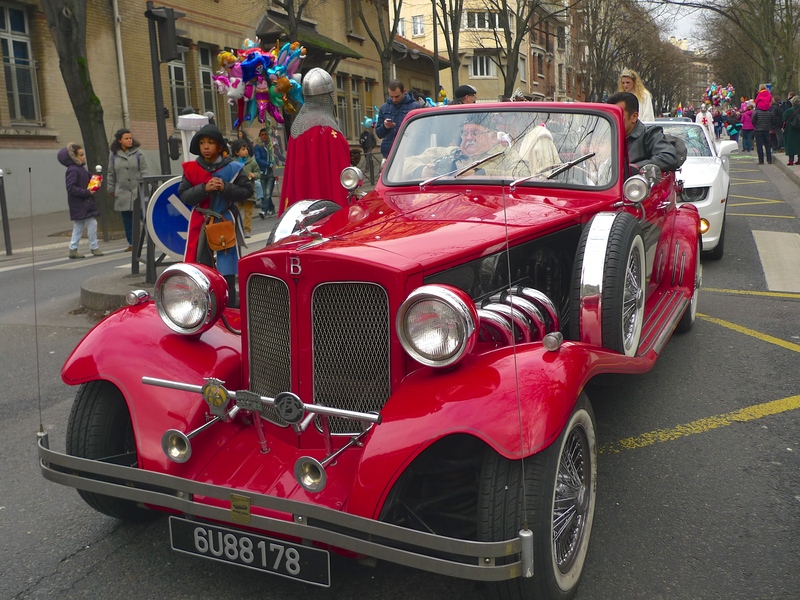 It was revived though in 1997 by Les Fumantes de Pantruches and Droit à la Culture groups and it has continued every year since. 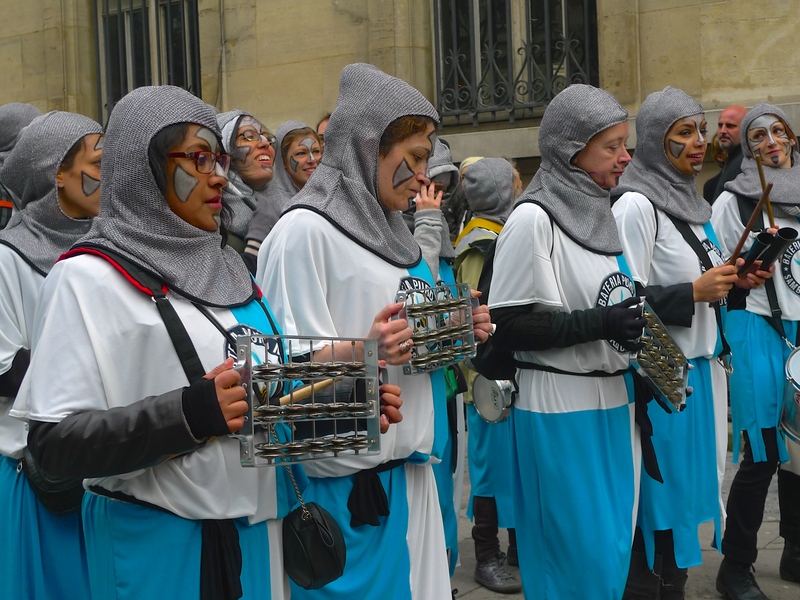 Although it no longer stretches from Epiphany to Lent, it’s simply a one-day event now, the Carnaval de Paris with its dancers, masks, music and colourful costumes still retains the spirit and exuberance of the medieval festival.